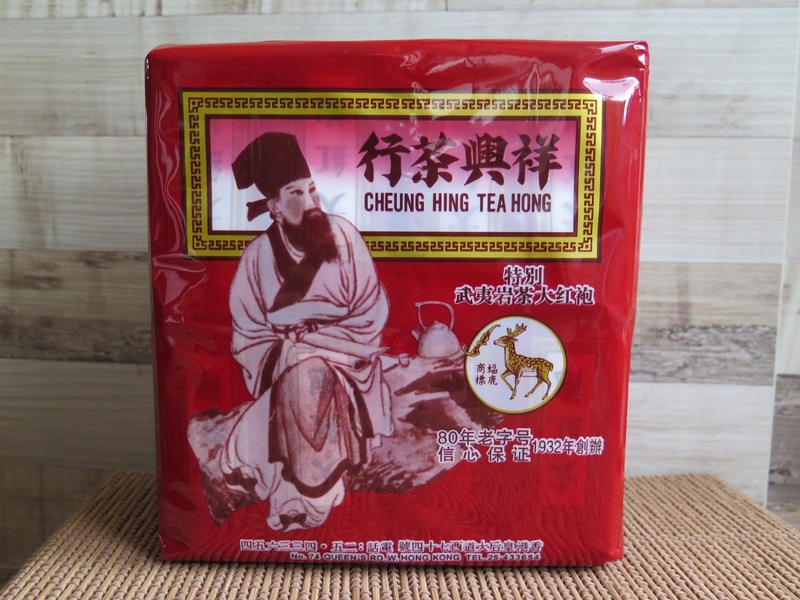 This is Cheung Hing tea shop's premium version of Da Hong Pao (DHP) oolong. 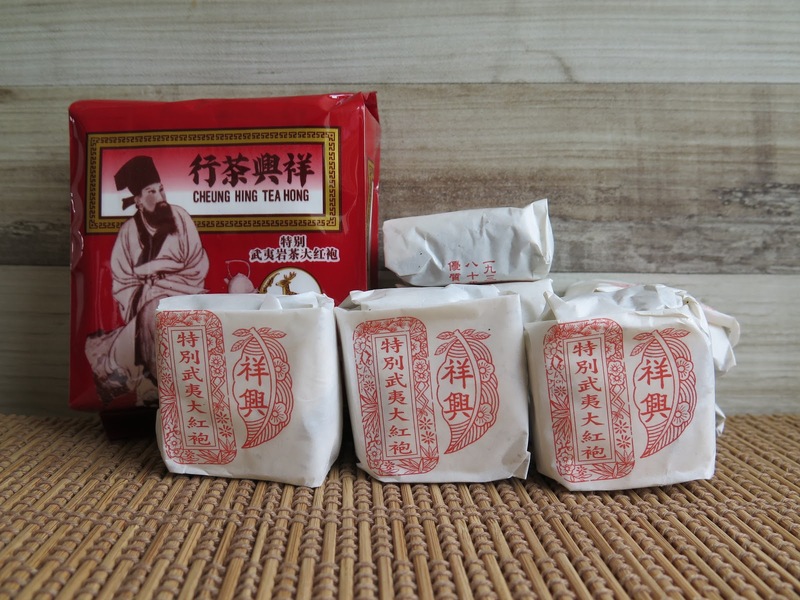 Cheung Hing tea shop in Hong Kong is one of the oldest tea dealers in Hong Kong since they opened for business in 1932. They are more famous for their Tie Lo Han oolong that has similar packaging but the packaging color is in yellow instead. This Da Hong Pao is twice as expensive as the Tie Lo Han but I had observed that this tea is gaining popularity worldwide as well. 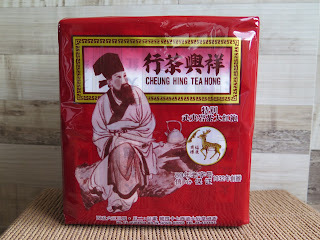 I know a group of Ipoh tea drinkers that simply adore this tea and they regularly purchased this tea from Hong Kong. This DHP is very high roasted. If you are familiar with the flowery light roast DHP, you will be in for a surprise. It is totally different. This is an acquired taste. I was caught off guard many years ago when I tried high roasted Hong Kong oolong. Drinking such tea emphasized on aroma and mouthfeel. I learnt that to appreciate this tea you have sip this tea, holding the tea in your mouth, then try to breathe in through your mouth before breathing out through your nose. This action will fill your nose and mouth with a satisfying aroma that will last for a minute or two. There will then be an extremely faint sweetness that you will later enjoy in the back of your throat. Such high roasted oolong normally makes 5-6 strong brews and you would need time to sit down and fully appreciate and enjoy these infusions fully. I am normally very 'tea satisfied' for a few hours after drinking such high roasted oolong. Hooray! Your tea mail has arrived. It is looking good. Smells good too. Time to try out the tea. Wait! I suggest humbly that your new arrivals need time to be awake. The tea needs awakening. The Chinese call this procedure as xin cha. Xin Cha literally means tea awakening. There are a few reasons why you should adopt 'xin cha' as part of your Chinese tea routine. - your tea which you had ordered overseas would likely had been air-flown to your doorstep. I had found out, on the internet, that checked- in luggage and goods like postal boxes or other goods are placed in the cargo compartment of the airplane. The cargo hold, if we assume a commercial airline, would be less insulated than the passenger cabins. I read that the temperatures in the cargo hold, during flight, would be around 7-10 degrees celcius. It is pretty cold and understandable as there is less insulation than the passenger cabins. This would meant that your 'tea' would had experienced a cold moment while it is in the air. Did my tea hibernate? I do not know. But internet chat forums seem to suggest that tea buyers/drinkers find their purchased tea tasted better after 2-3 weeks after arrival, than if it was drank immediately when they had received their box. This may imply or suggest that the tea needed time to 'acclimatise' itself (I think you understand what I am trying to say). 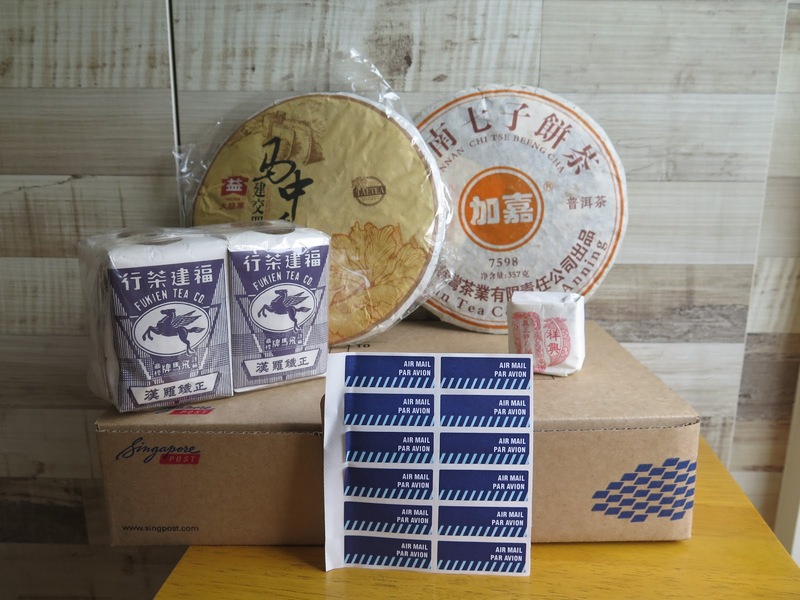 - I had mentioned that breaking up a tea cake, brick or tuo, storing the tea pieces in a tea caddy and drinking the tea 2-3 weeks after the 'breakup' seem to make the tea more aromatic and tasty. I had suggested to my tea readers to try breaking up half a cake, storing the pieces in a tea caddy......and do a comparison by brewing up tea from the caddy and brewing tea by chipping off some tea from the unbroken tea cake. The difference is clear in that the broken up tea pieces taste better. These 2 points I had highlighted seem to suggest that pu erh tea needs a stable temperature and any drastic change in temperature may 'upset' your tea and the tea may need time to acclimatise/ stabilise itself. Breaking up a tea cake may also imply that the tea have the opportunity to be fully exposed to the air and to 'stretch out' which seem to make the tea better In taste and aroma after the breakup. Yes, it seems like mambo jumbo. But .....there is a clear difference if you employ these methods. 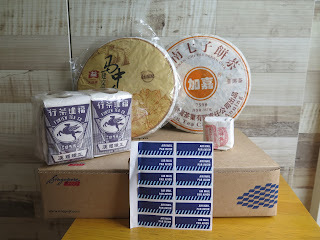 It might be a great idea when your overseas tea mail arrives at your door, you break open your pu erh cake/ brick (at least a quarter of it) into a tea caddy and brew the tea after 2 weeks. I strongly encourage my pu erh tea readers to 'xin cha' their pu erh. This is not a tedious or expensive exercise. It does make a better brew.